Judge Cheese Serving Set. Gift Boxed. Oh the story of cheese....The perfect gift set of three cheese knives plus and serving guise and tips. 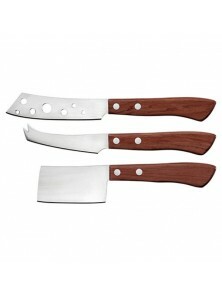 Knives for hard and soft cheese, stainless steel blades and wooden handles.